This is not an uncommon conversational gambit for historical authors to have to deal with. Hopefully, the answer’s yes: the writers I know spend hundreds if not thousands of hours poring through academic texts and maps, visiting museums, and talking to historians. Readers love discovering new historical nooks and crannies (and they hate it if you misrepresent a subject they know well), so sleeves must be rolled up. Then there’s character research: spending time locked inside a Moleskine diary, nattering away to your fictional friends, listening to them tell you what they want, what they did, and what they really want to be. And then there’s Footsore Research, my favourite bit. It involves getting on a train, or a plane, or a boat, and heading out to the novel’s location to walk in my characters’ footsteps, visit local museums, follow my nose into unnecessarily stressful situations, smell the air and taste the food. 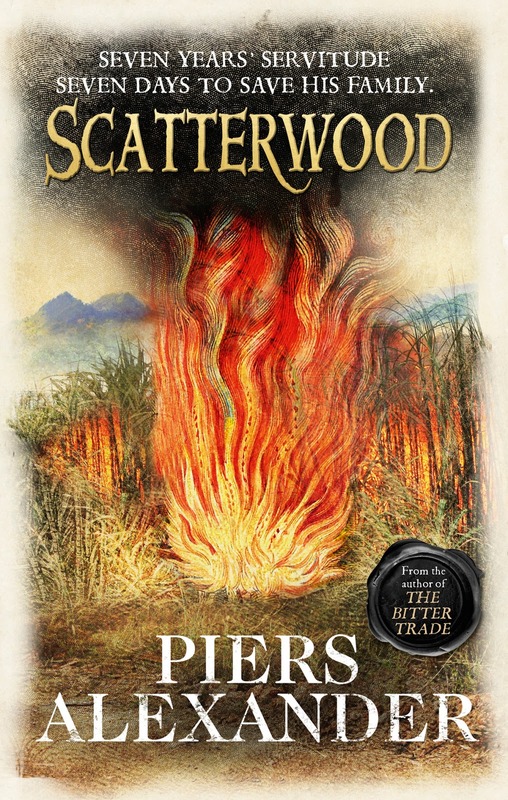 Which is probably why I chose to set Scatterwood in Jamaica. Ian Fleming, Jimmy Cliff, Blue Mountain coffee, the spooky appeal of Port Royal (once the Sodom of the Caribbean, home to Henry Morgan and the Golden Age pirates)… I’d been thinking about it for seven years by the time I got out there. I did get a puncture high up on the shoulder of Blue Mountain Peak, and remembered that I’d promised my wife Rebecca that I wouldn’t do anything stupid or on my own. Luckily a friendly family rushed out of their houses, changed the tyre for me and waved me off. I’m not sure I’ve gleaned any particular plot points or historical nuggets that have made it into any manuscript from doing this, but I’ve had some hilarious conversations, and made a friend or two, by doing this. 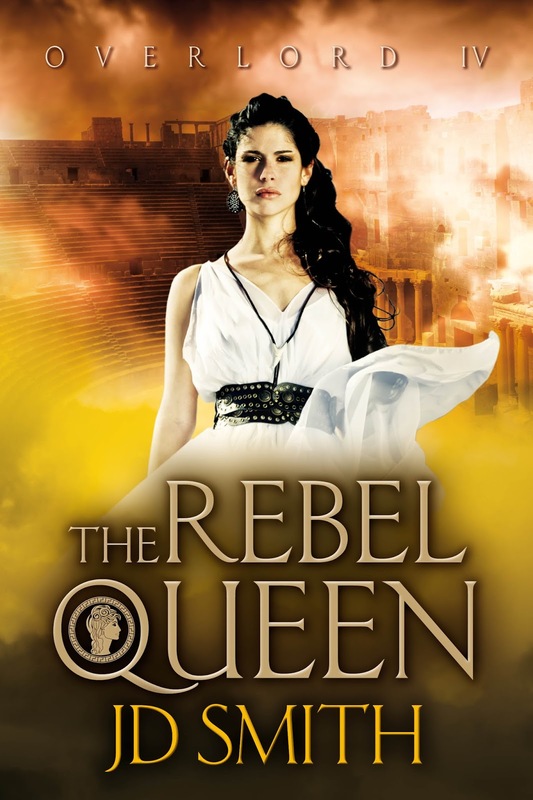 Again, I’m not sure it was entirely what I agreed with Rebecca, but it did give me a feeling not far from Calumny’s experience of Jamaica: he’s forced to depend on complete strangers for his survival, and to protect his family. Ahhh… this is the best rule. It took me up a long broken trail, past “Closed to the Public” signs, to discover an abandoned fortified plantation house. It led me to gap-toothed farmer Ivan, who gently shook me down for a thousand J-dollars in exchange for letting me visit the beach beyond his land, which so closely resembled the ship-wrecking Naggle Bay that I’d imagined that I could hardly bear to leave it. And it took me away from the official tour of Reach Falls, and into the lower levels of the river, where I gave my worldly goods to a young fellow called Jonai, who showed me the caves that escaped slaves used to hide in. I swam through the pools with an increasing sense of contentment… until he showed me the underwater tunnel. I looked at the underwater tunnel. It was about four feet down, and about two feet across, and it reminded me of (a) the Shawshank Redemption, and (b) that bit in Alan Garner’s Weirdstone of Brisingamen where the kids are crawling through a narrow tunnel and discover too late that it’s flooded, and they can’t turn around. I thought about my promise to Rebecca. If I die here, she’ll kill me. I banged my head a little on the tunnel. It was shorter than I’d feared. We emerged in a cave behind a waterfall, which shimmered softly in the dapple-light. We laughed. He plunged through the cascade. I took a microsecond to imagine myself as a runaway bondsman hiding from a search party, tucked in my chin, and threw myself into the thudding waters. The winner of the inaugural Jhalak Prize for books written by British BAME authors was the debut crime novel, The Bone Readers, by Granadan born author, Jacob Ross. The Bone Readers is the first of four planned novels set on the tiny fictional Caribbean island of Camaho and featuring the police detective Michael 'Digger' Digson and his unconventional partner, Miss Stanislaus. If you have read The Bone Readers too, please feel free to join in the conversation in the comments section below. Unlike a conventionally structured crime novel, The Bone Readers doesn’t begin in media res, nor does it take place within a conventionally tight timeframe. Instead, it takes place over several years, tracking Digger’s career from his unconventional recruitment into the police force by the ageing, rum-soaked Chilman, via his training in forensics in London, to the confrontation that may finally solve both mysteries. What did you think of Ross’s unconventional structure? (MI) Crime Fiction is not a genre that I would usually read. I’m more inclined to watch a crime drama on TV or in film. Having said that, I found Ross’s unconventional structure refreshing. I liked the fact that when we meet Michael ‘Digger’ Digson he is yet to be recruited into the police force. I enjoyed discovering his world and the world in which he operates. I relished in discovering his character and the way in which his character develops throughout the story. Ross develops a plausible plot, with plenty of elements of fine crime fiction and intriguing, well rounded, believable characters that by their very presence in the narrative cause the reader to care about them, rooting for them or railing against them to the very last page. Digger follows in the footsteps of the detective as a flawed hero, searching for love having been abandoned by someone important in his early life through circumstances beyond his control. As Digger is engaged in looking for the murderer he is also on a journey of self-discovery. Ross manages to create and convey a seamless marriage between the literary novel and crime fiction. (JJ) To me, it didn’t feel that unconventional. The development was chronological if more circular than linear. Returning to the unresolved issues, both present and past, felt natural and one informed the other. Also the character arc was intriguing in itself. (GEH) Different! I thought the novel was an exceptional read, so it clearly didn’t spoil my enjoyment of it. However, I remember as I read having a slight sense of frustration that we (the reader) weren’t part of his UK visit or how we might have understood his exceptional talent at forensics had we been involved in that stage of his training. It felt as if the author might have scaled down the novel from a much-longer version, and when his publisher gave him an acceptable word count, he set about extracting the salient points that kept the story moving. 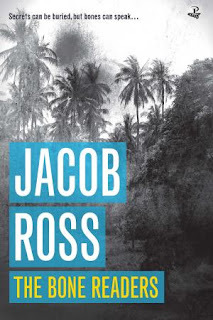 I like the idea that the structure is something different, that rules are sometimes there to be broken, and as long as you deliver a cracking novel that everyone is talking about, as here, then I applaud Jacob Ross! Two cold cases twist and turn through the pages of The Bone Readers. Michael ‘Digger’ Digson needs to find the truth behind the death of his mother, killed when he was a young boy. And his boss, Detective Superintendent Chilman, is obsessed with the case of Nathan, a young man who disappeared and whose mother is convinced he was murdered. Without giving too much away, only one of those cases is fully resolved by the end of the book. Did that work for you? 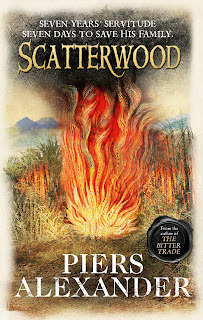 (MI) I found that the rich world of the island of Camaho and its inhabitants that Ross builds throughout the novel is just the beginning of a world I would love to dive headfirst into again and again. To keep on discovering its hidden secrets and to have Digger and his unconventional sidekick, the enigmatic Miss Stanisluas, uncover the perpetrators of unsolved crimes with their unparalleled detective skills. The fact that only one of the cases Digger is investigating is solved by the end of the novel left me with the savouring promise that this will continue in a sequel. Digger has begun to unearth something and you know that he’s not going to stop until he finds all the answers. The well-constructed plot didn’t distract from the fact that only one of the cases was resolved. It’s important that this particular case is resolved in the present. The reader instinctively knows that the other case goes even deeper into the transgressions of the powers of government and this is something that will take time and the inner strength and resolve of our detective Digger Digson. (KH) That’s a brave choice, but one that works. For me, one of the many strengths of the book is Digger’s hinterland; the unresolved issues of his losses, his search for understanding but also for his own identity. Because the novel ends with those issues left untied, you put the book down, wanting more. (JJ) I think there is a kind of resolution in a way, if only in the form of acceptance. There may not have been justice in both cases, but there is knowledge. Ross leaves certain things open but gives the reader confidence in the future. (GEH) I’m not sure why the author decided to leave question marks over Digger’s mother, but I’m hoping it’s because he intends to follow on with a second book with the same lead character, and that it becomes a central thread we return to again. Otherwise, yes, it’s a bit frustrating that he went part of the way to finding the truth but didn’t find all the answers. If Digger reads bones, then his unofficial partner, Miss Stanislaus, reads people. How do these two compare with other, classic detective partners? (KH) This is an intriguing one. Miss K Stanislaus is a reader of people. Digger is a searcher of facts. Given her shrewdness, I wondered why Miss Stanislaus isn’t harder on Digger – and more hostile to him, given the abuse she’s suffered and given the way Digger treats women. She seems to decide very early that he’s one of the good guys, when there’s plenty of evidence to the contrary. I would have loved her to give him a far harder time, to puncture his swagger. And for him to have had to work a lot harder to impress her. For a little more heat to the spark. (JJ) They work brilliantly. The rough edges between them create all kinds of interesting dynamics and they balance out well. Neither is always in the know, they take turns at leading, unlike the classic detective and sidekick. They need each other’s skills and experience. It’s a likeable if quirky relationship. (GEH) I think both characters are unique, and I hope their first date goes well, and they end up married and live happily ever after! 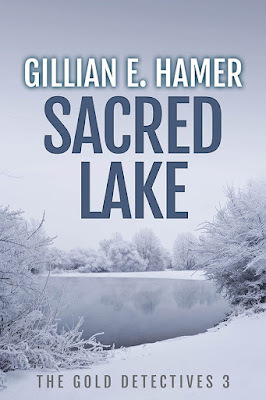 I can’t think of another detective thriller with this balance, although television dramas such as Silent Witness touch on the subject, and author, Tess Gerritsen, uses a forensic expert as a lead character. If I could pick on one thing that I felt could have been explained more, it would be how and why these two people, both from impoverished backgrounds, came about having these gifts? Was there one particular incident in their lives? How did they discover their talents? I found this a little frustrating and would have liked to nose around in their lives a little more because they were both such fascinating individuals. But as I said, this is a partnership that can run and run, and I hope it does. “Missa Digga, it look to me like everyone on Camaho searching for somebody.” What does this quote from Miss Stanislaus tell us about what Ross is trying to say? (MI) I think that Ross is alluding to the fact that there is always a relationship that remains unresolved, whether that is with another person or oneself. Also, that people are constantly trying to rediscover, renegotiate and redefine their own reality with the reality that is presented to them by the wider world. (KH) The book explores wider themes of searching; to reveal the secrets every character hides, for truths about the past, for identity and a sense of belonging. Camaho is a fractured society, scarred by abuses of power, and secrets and broken family ties. Digger and Miss Stanislaus have a shared experience of abandonment and abuse, in a society where deracination seems to be the norm, in which old wounds refuse to heal. (JJ) Apart from the fragile nature of life and relationships, some people do find what they’re looking for. I took a hint of positivity from this, combined with what she says in the the previous chapter: “Den we go take some breeze, remind weself dat life not bad.” Another quote I noted was from Digger: “What happened between humans frightened me.” And yet he engages with people and manages to affect lives for the better. (GEH) I took the quote to be a cultural reference, that it wasn’t a happy place to be born. There were many disparaging comments throughout the book about Camaho men, their treatment of women, and the implication they were known for abandoning their off-spring. I can imagine that as families were forced apart and lives became more entangled, people were often searching for the truth of their past. It felt to me that although it was a small community it was often a lonely place to live. The multiple strands of the book play on themes of sexual violence, sexual exploitation, gender power struggles and corruption. How successful do you think Ross was in balancing these themes in Digger’s own life and in the case he is trying to solve? Is Digger breaking the cycle of male violence or repeating it? (MI) Ross endeavours to show that Digger is perhaps an exception to the rule. He knows that his father has abused his position of power in relation to his mother and he hates his father for this misuse of male privilege and power. Digger is fully aware of how difficult it is to survive as a woman in a male dominated world through the death of his mother and the life his grandmother lived. He is also aware through his relationship with his grandmother that women are strong, intelligent and worthy of respect. Ross does not shy away from the reality of women’s lives in relation to the men they share their lives with. Digger is always shown to have a choice. Does he take advantage of Dessie or does he help her? Does he further exploit Lonnie or does he try to save her? Does he take advantage of the feelings Pet has for him? Does he treat Ms Stanislaus’ intelligence with the respect that it deserves or does he use his position to put her down? Through his choices he endeavours to break the cycle. (KH) Yes, I came away from the book wondering that. Digger seems to have cast himself as a righter of wrongs against women. He was raised – and perhaps feels abandoned by – strong women. But his treatment of women undermines his credibility. Digger surrounds himself with women, but there’s something acquisitive about this. In a society where women seem to be treated like currency, is gathering strong, beautiful, gifted women a game of one-upmanship, not a declaration of equality? Does Digger respect Dessie and Lonnie, Pet and Adora? Are they more than conquests of prestige? (JJ) To contradict what I said above, the scale of what women and good men have to contend with seemed intimidating and enough to make one give up. Yet Digger does not, and takes his knowledge of how society works to make it work for him. I’m thinking of the Dessie storyline. (GEH) I think Digger is determined to break the chain. He’s shown through his actions, with Lonnie, Dessie and protecting Miss Stanislaus from the law after the death of Bello, that he’s a guy who will stand up for female rights. I think Ross goes out of his way to show this – thinking about his visit to Dessie’s family and his reaction to Malan’s treatment of Lonnie. He’s a good guy and wants to see change in the male dominated world he’s come from and I believe he will go out of his way to help achieve that. The women in the book are tough, shrewd, emotionally intelligent and sassy. Yet they are trapped by male prejudice, male violence and the male stranglehold on power. Many carry scars from the sexual violence they have experienced. What did you think of Ross’s portrayal of these flawed female characters? (MI) It’s important to portray women as three dimensional characters. Ross shows a real empathy for the women presented in his novel. These women are survivors. They’ve survived and will continue to survive against the odds of living in a patriarchal society dominated by male prejudice and violence. They bind communities together, support each other, and share each other’s losses and pain. I’m looking forward to see how Ross further develops the character of Miss Stanislaus throughout the quartet as she is thus far the strongest female character in the novel. (KH) The power of The Bone Readers lies in its flawed, powerful female characters, nearly all of them challenging the status quo, overtly or covertly. The novel springs to life when Miss Stanislaus walks in with her yellow dress and ladylike hat and handbag and shrewd eyes. Miss Stanislaus is the quiet witness who makes it possible for all those other stories to be heard. Men don’t come off well at all in the book, based on their treatment of women and children. Miss Stanislaus is an unlikely avenger, with her soft voice and genteel dress sense. That voice and those actions give the book its soul and heart. (JJ) The women characters come across as nuanced and varied in the way they deal with their status and treatment. His portrayal of the complex dance women must perform is fascinating. Characters such as Adora, the Mother, Pet and Lisa, Dessie and Lonnie demonstrate skill and subtlety in how they use their strength. Stand up but don’t rock the boat. (GEH) I think Ross seems to have a point to prove, but did he overdo it a little … maybe. Lonnie and Dessie felt similar to me in many ways, and then Miss Stanislaus’s own background went down a similar route. But that was as you say the central theme, the author had a point to make, and he made it well – I found all of the characters believable and felt sympathy for their situations. British and American authors writing about the Caribbean usually portray it as a sort of paradise. Ross belongs to a new breed of Caribbean writers (Marlon James, Kei Millar, Ezekel Alan) who are exposing a darker, often more brutal side of the islands. How do books like these affect your image of the Caribbean and what do you think motivates these authors to write in this way? (MI) Camaho is not the world portrayed by the likes of Sandal’s beach resorts, with tanned bodies, clear blue skies, a beautiful green sea and long iced drinks. It is an island inhabited by real people living real lives with all its inconsistencies, injustices and brutality. The island in this respect is not unlike any other town, city or village to be found throughout the world. The fact that this generation of Caribbean male writers have decided to portray the violence perpetrated against women and the LGBT community in their writing is indicative of the imperative conversation which articulates the way in which some men are questioning the patriarchal status quo they have inherited. (JJ) I’d guess their motivation seems to stem from a wish to show the whole picture, that of poverty, crime, injustice and cultural conventions which forms a darker part of the reality. Seeing just one aspect of a country depicted in order to attract tourism must give writers the urge to look under stones. (GEH) I like the dark theme, it suits the crime genre, and I thought the lack of ‘stunning sunsets’ or ‘wide expanse of white sand’ was refreshing. We get a sense of place, but not the cliched version. I think we may be aware of drugs and gangs and the under belly of the Caribbean, but here we got to see real life, behind the travel brochure image, and that has to be a brilliant start for any true-life crime novel. Why? I don’t know that it’s probably a choice the author’s consciously take, more that they have a story they want to tell and a way they need to tell it. 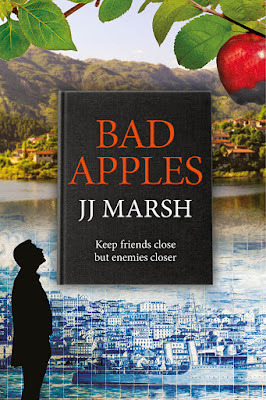 This month, Triskele authors JJ Marsh and Gillian E Hamer have been joined by two other authors. Michelle Innis is a playwright, on of the founders of Pitch Lake Productions and author of She Called Me Mother. Kit Habianic is the author of Until Our Blood Is Dry. You can read Triskele's interview with Kit Habianic here, and Catriona Troth's interview with Michelle Innis in Words with Jam here. This summer sees three hot new releases from Triskele Books! Two bodies discovered in a sacred Anglesey lake. One four weeks old. One four decades. Random murders or ritual sacrifice? Coincidence isn’t part of the vocabulary for DI Amanda Gold and her team. So when an up-and-coming star chef goes missing, the hunt for a killer is on. Pressure mounts as suspect number one becomes victim number three. DS Gethin Evans has an instinct. He is going to prove these crimes are sexually motivated, even if it means going it alone. The hunt nears its end. The question is no longer who is right but who will survive? If the sins of the past shadow everyone’s future, there’s no place to hide. Acting DCI Beatrice Stubbs is representing Scotland Yard at a police conference in Portugal. Her task is to investigate a rumour – a ghostwritten exposé of European intelligence agencies – and discover who is behind such a book. Hardly a dangerous assignment, so she invites family and friends for a holiday. Days at the conference and evenings at the villa should be the perfect work-life balance. Until one of her colleagues is murdered. An eclectic alliance of international detectives forms to find the assassin. But are they really on the same side? Meanwhile, tensions rise at the holiday villa. A clash of egos sours the atmosphere and when a five-year-old child disappears, their idyll turns hellish. From Lisbon streets to the quays of Porto, Parisian cafés to the green mountains of Gerês, Beatrice learns that trust can be a fatal mistake. Syria is finally at peace. The war against the Persians is won and a triumph held in honour of King Odenathus and his victories. Whilst the east prospers, so the west crumbles as Emperor Gallienus struggles to maintain power.